Easter table decor is something you can do very easily even at the last minute. On a quick grocery run for that holiday ham, you can scoop up extras like Easter candy and flowers for a quick festive touch. If you have a little extra time, a trip to the craft store or shops like Target or Pier 1 will offer a wider variety of affordable Easter decor, like artificial bird's nests. It's all about reflecting the season of Spring. 1. If you decorated Easter eggs, put them on display. Use egg serving cups or an egg candle tray and place s few on a buffet, dining table, or on an entryway console. The individual egg cups can also serve as a cute Easter place-card holders or votive candle holders scattered around the table. You can also display Easter eggs in a wire egg basket if you have one. 2. Grab some extra chocolate bunnies on a grocery run. The foil-wrapped bunnies are often 3D and stand up nicely on their own. Unwrap them and display them in a cluster of three or place them in a large Easter basket for an instant Easter centerpiece. 3. 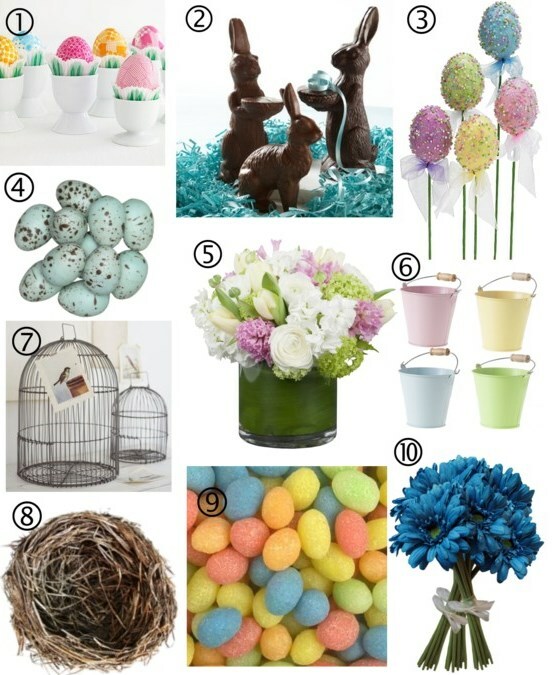 You can find Easter egg floral picks for just a dollar per 4-pack at most dollar stores or WalMart. 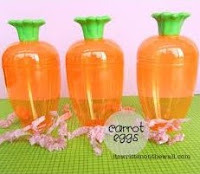 Grab some inexpensive clay pots (which you can also find at the dollar store) and fill them with Easter candies and the floral picks, or place the picks in floral foam and top with artificial Easter grass. 4. Nothing reflects the new season more than eggs. Pick up some artificial eggs to arrange in a vase, decorative bowl, or artificial bird's nest. 5. There's nothing more beautiful for Spring table decor than fresh cut flowers. While you're picking up those last-minute Easter dinner ingredients, swing by the flower section in your grocery store and scoop up some tulips for your Easter table. This time of year you can also find potted Spring flowers at the grocery store, so you can display them on your Spring table this Easter then plant them later to enjoy all season. 6. At the dollar store, Target, Wal-Mart, etc., you can find any number of mini Easter pails or favor boxes. Fill these with jelly beans or any pastel-colored candies and use them on each place setting, or scatter them along the center of your table. 7. 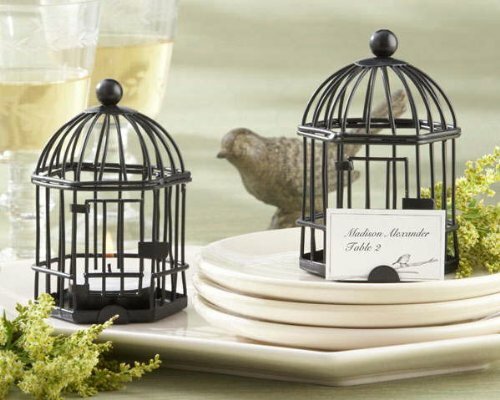 If you have time to make it to the craft store before your Easter celebration, pick up some decorative mini bird cages (or one big one for the centerpiece) and fill with candles or an artificial nest and bird's eggs. If you really want to go the extra mile, hang three large ones from the ceiling in a cluster using ribbon and these easy ceiling hooks. 8. I've already mentioned artificial bird's nests several times. Pair them with flowers, eggs, or artificial birds to reflect the season. 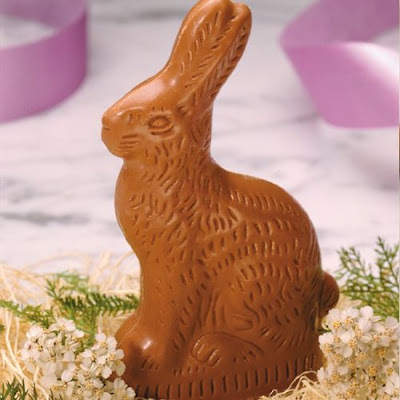 They're perfect for quick and easy decorating not only for Easter but the whole Spring season. Use small ones on your Easter table for place settings, to hold Easter candy, or to display mini artificial bird's eggs. You can also use the larger ones in decorative bird cages or under in a Spring cloche display. If you don't have any cloches, use a glass cake stand with a dome lid. 9. Jelly beans are the quintessential Easter candy. Stock up on these at the grocery store. You can display them in little candy dishes along your Easter table, or use them to fill a glass vase for an easy Easter centerpiece. You'll need one large glass vase and a smaller container for flowers. Place the flowers in the center of the vase then fill in the remaining space between the flowers and vase with the jelly beans. 10. Artificial flowers are just as good as fresh ones when it comes to holiday decor. I love the bright colors artificial daisies come in at the craft store. And since you don't have to worry about them wilting like real flowers, you can arrange them ahead of time and use them year after year. One can never have too much chocolate. Oh boy... this is enough to get me hungry! I love the bird cages! Boy oh Boy- you've got quite a blog here! LOVE IT!!!! I think I'll follow! Thanks, Cheryl! :) I'm glad to have a fellow lifestyle blogger in the WMD facebook group! !